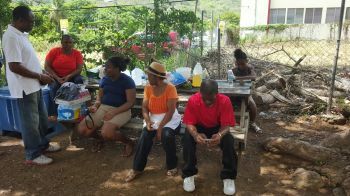 “A group of residents in the Third District from Dominica has found it necessary to become involved in what took place in Dominica due to the floods,” said Representative for the Third District and Leader of the Opposition Honourable Julian Fraser RA. 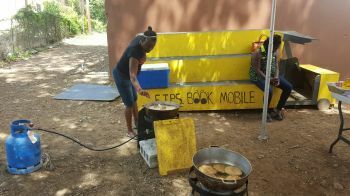 “First and foremost some of their relatives came to Tortola and got stuck here at the time, particularly children who could not go back to school,” he said. 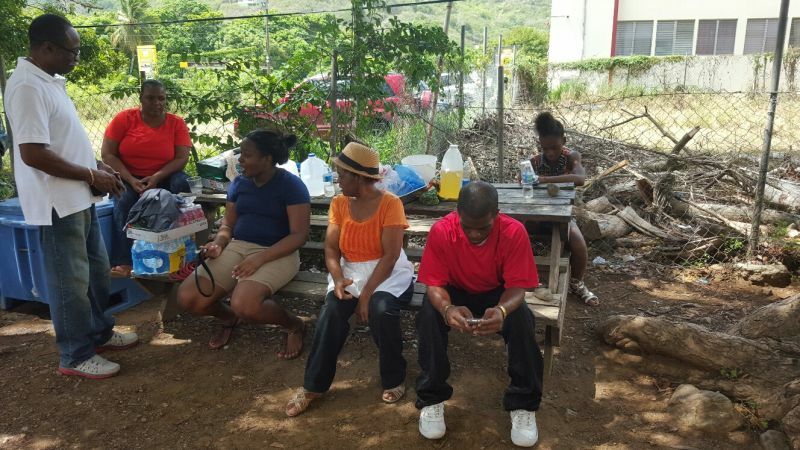 “So they want to raise the awareness of the people of Tortola even further. I know that many people have made contributions already by coming out here today and we’re asking for them to contribute anything that they have in the form of non-perishable goods, canned goods, clothing and while they are here they decided to have light refreshments on sale,” he said. “So being in my district I decided to come out and show my support as well. It is an ongoing situation,” he said. Speaking to this news site, young activist Sharlene S. David said she would like to thank all those who had come out in support of the event. 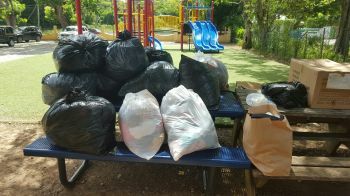 “We have bouncy castles for the kids, we are collecting clothes. We are starting a coin drive which we wish to expand further from this event with the aim of constantly helping with the relief efforts in Dominica. We have plans to partner with a group in Dominica to help people who are less fortunate to build and bring themselves back together,” she said. 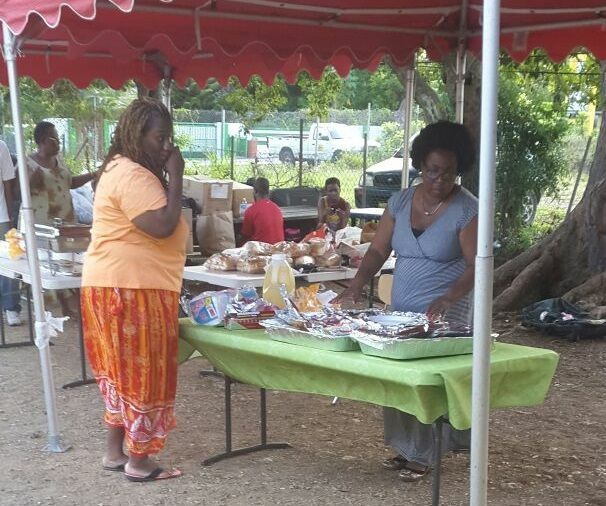 One citizen of Dominica who was part of the event was pleased with the response so far. “It has been good. A lot of people helping. A lot of people sending stuff down to help. 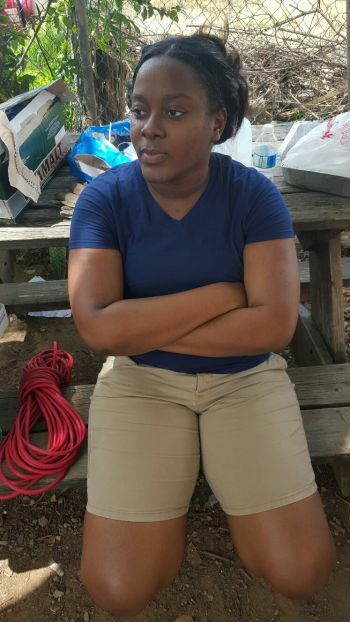 I don’t know how they are going to share it but a lot of people helping with food, clothes and everything,” said Yvonne Thomas. 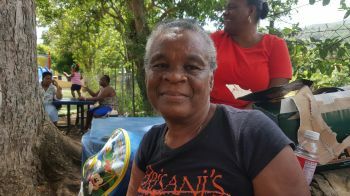 “It will be important for people to come out and support because Dominica needs help today but tomorrow you never know what can happen in another place,” she said. 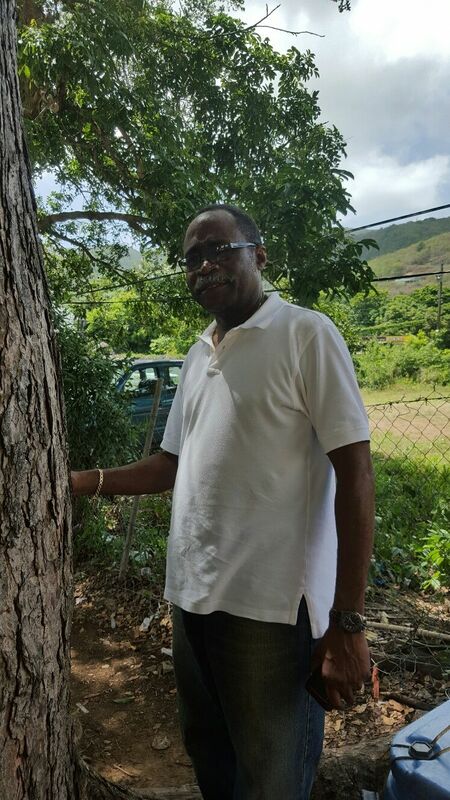 LONG LIVE HON JULIAN FRASER! Where OJ? You have to keep these events during campaign season to get better support. Some people hibernate for 3 years and wakeup election time. Where o Oj? You mean where are the Dominicans. Lmao!!!!! See he loves island people. The majority in his district are outsiders and they all love each other.